“Clayton Lindley of Naked Architecture was an absolute pleasure to work with throughout this project – well informed, responsive and creative while being technically astute and always willing to continue looking for better solutions. All design programme milestones were met efficiently as a part of the overall Springate Constructions’ design and construct process. The design responses accurately reflected and refined our brief and delivered our aspirations for the site. 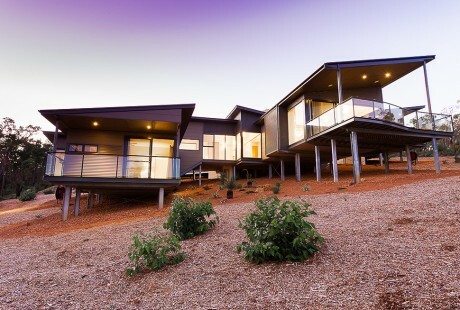 We have a residence that respects the natural form and orientation of the site while exploiting its key attributes to provide expansive sea, bush and farmland vistas within a bushland setting. Clayton is an excellent team player and made a big contribution to our enjoyment of every phase of this project”.